I took a smattering of French classes in high school and college, so seeing and saying the word "manger" always makes me want to say "mon-jhay." It also makes me want to sit down and eat a crepe. Je mange! My parents and sister came for Thanksgiving. We had three and a half beautiful days of eating, card playing, dish washing, book reading and doing a little window decorating with the boys. Once they left, I put Hershey's miniatures in the slots of our Advent calendar, then hauled the Christmas box out of the basement, ready to drown my sorrows from their departure in an Advent-appropriate decorating flurry. The beautiful glass and family ornaments that my Mom has passed down to me are my favorite things to pull out of that box. But the tree's not up yet. And so I grabbed some garland and the big blue Fontanini Nativity box instead. A priest friend gave it to us as a wedding present, and I'm grateful to have such a beauty. We set it up while the boys napped, and when Joe got up and saw it, he nearly passed out from excitement. "OOOOOOH! I see a ma-AAAAn-ger. I see a tree! And Blessed Mother Mary and St. Joseph. ... Where's Baby Jesus? Still in Mary's woooom? Hmm." I remember the small details on my parents' decades-old Nativity that mesmerized me each Christmas of my childhood. 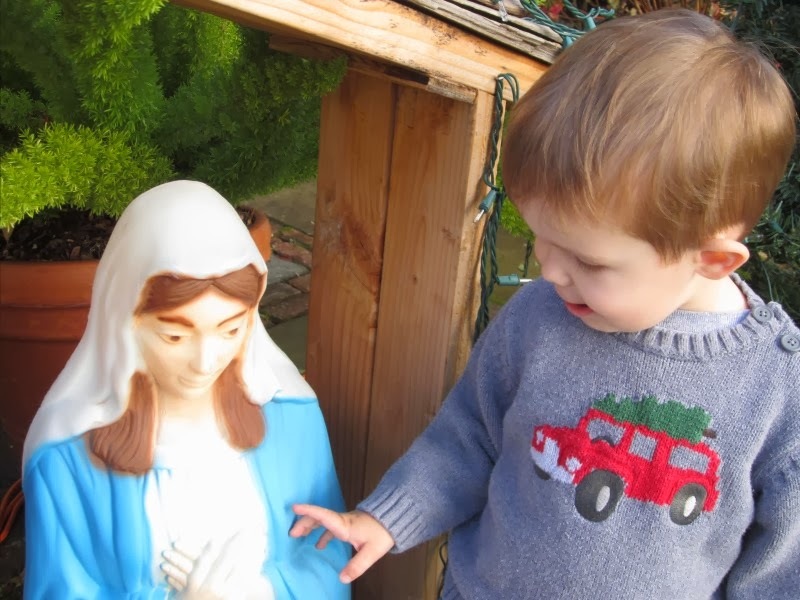 The threads of hay glued to the roof, the single small lightbulb inside the stable, the light blue of Mary's mantle. I so hope Joseph retains these first moments of wonder at the Christ Child and his humble birth. My Dad has lovingly put up his display each December for at least 25 years now. 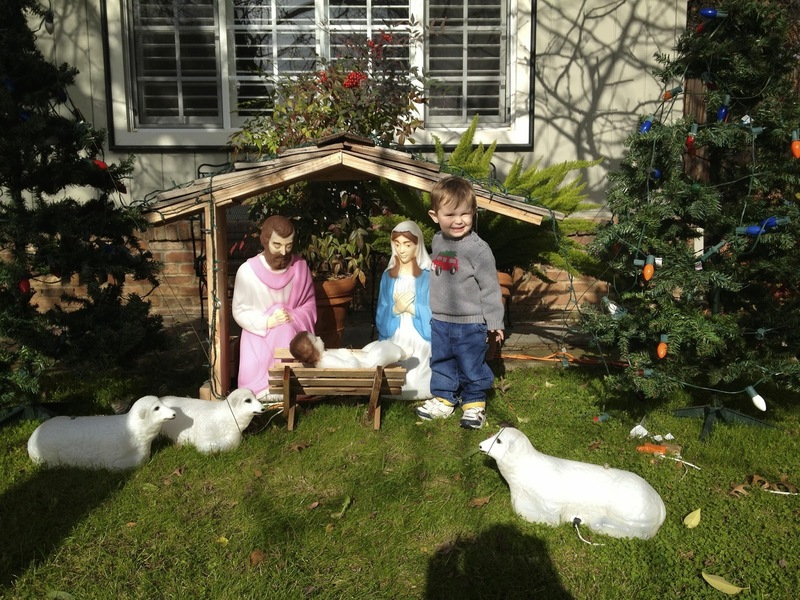 He's had the drama of having Baby Jesus stolen, of having wind or storms take out trees and extension cords. He puts it up now "for the kids." And I'm so glad he does. I've never seen another lawn display that rival's my Dad's, mainly because of his homemade/handmade creche. 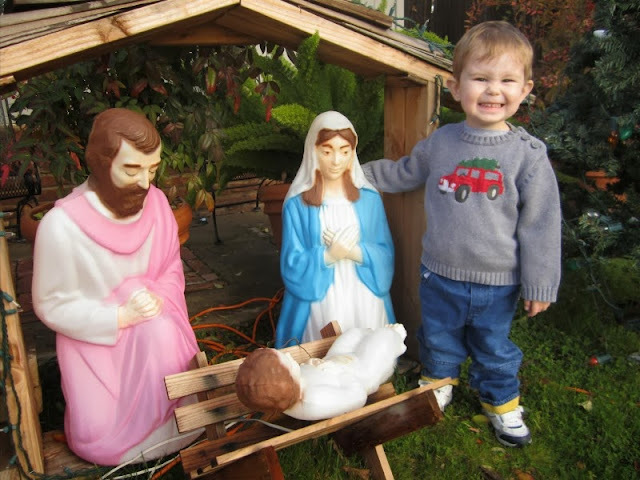 And praise God he made it that way, because Joe saw a Mary/Jesus/Joseph figurine set in someone's yard last night and shouted, "That's NOT a manger. They weren't IN any-hing." Tonight he and I worked on the hierarchy of Christmas structures: a manger is the trough where Jesus sleeps, then a stable, then all of it equals a Nativity set. 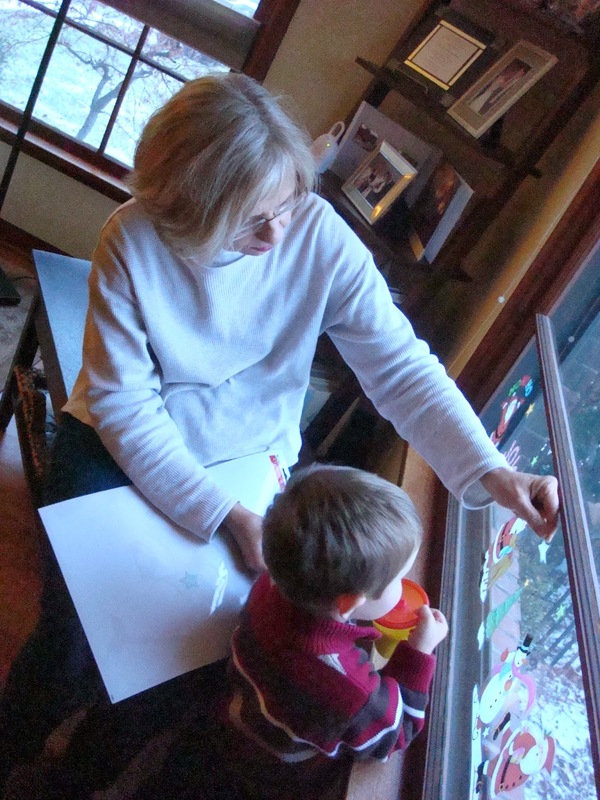 He looked at all of it, then his eyes darted to the Advent calendar. "Is it day 2? Is it time for a chocolate treat?" To which I say, yes. Mon-jhay. Wonderful Blog..Your article is really amazing, thanks for sharing.. It's nice blog a lot of information i gathered.